Susan and Steve have been talking to their tax attorney, Elizabeth, about plans for their family. Susan is very concerned about their family. Susan: "I wish that we had a perfect family, but we must admit we don't. We have three children. Our first child is out on his own, has a good job and is doing fine. But our second child has had substance abuse problems and was recently released from rehabilitation. He now seems fine but he has had relapses before. Our third child is a very sweet young woman who unfortunately has been married, divorced and is now remarried. She is going through some rough spots in her marriage. How can we protect our three children with so many risks?" Steve: "You know, Elizabeth, owning our business has been great. Now that we have an offer from someone who wants to buy the business, we are interested in selling. We really like the idea of using the charitable trust you talked to us about so we can sell the business tax free. We also want to set up an inheritance for the children. Can we do both? " Elizabeth: "There is a great plan that achieves both of your goals. You will be able to sell your business tax free using one trust and you can also set up a second trust that can buy an insurance policy for the benefit of your children. After both of you pass away, the trust will receive the insurance proceeds income and estate tax free." A very beneficial estate planning strategy to protect any family, including a "less-than-perfect" family, is to create a trust that owns life insurance. Your advisor will usually call this an irrevocable life insurance trust (ILIT). Management. If you have a large estate and plan to pass a significant inheritance to children, an insurance trust enables you to appoint someone to manage the trust's assets. This person is called a "trustee." You could select an individual, such as one of your adult children, or a financial institution to act as trustee. Be sure to select someone qualified to manage significant assets. Income Rather Than Principal. Many parents are faced with Steve and Susan's problem. They have one or more children who will not act responsibly if they receive a substantial or lump-sum inheritance. Very often parents designate an insurance trust to receive the insurance proceeds. The trust can then hold and invest the trust assets and will pay income to the children. These payments could be for a specified number of years, with a lump-sum payout of the trust balance at the end of such term, or for the lives of the children. The trust can also provide the trustee with discretion to distribute principal to the beneficiaries to cover education expenses or unanticipated needs such as for medical care. Tax Savings. If your estate is more than the federal exemption, it may be subject to taxes at a very high rate. An ILIT is an attractive planning tool for individuals with taxable estates. The trust can be used to leave an inheritance to family that is exempt from federal estate and income taxes. For this reason, many people like to combine a charitable remainder trust (CRT), as Steve and Susan are considering, with an insurance trust. With the CRT, Steve and Susan can fund a trust, tax-free, that pays them income for life and the ILIT will provide their children with an inheritance. How Does the ILIT Work? ILIT Goals. If you have a large estate, a very important goal is to make sure the ILIT is not subject to estate tax. In order to protect the ILIT from taxes, Steve and Susan cannot retain specific powers over the trust, its assets or the life insurance policy. Specifically, they cannot have the right to cash in the policy, to borrow against it, or even to change the beneficiaries. The policy is purchased by the trust, naming the trust as the beneficiary and the policy cannot be changed later. Gift of Premiums. Steve and Susan will need to make annual gifts to the ILIT to enable the trust to pay the insurance premiums. They will use what is known as the "annual exclusion," to make these payments to the trust. With the annual exclusion, an individual can make a large gift to another person without having to report the gift. In 2018, the exclusion amount is $15,000. That means that Steve and Susan can fund a very substantial policy inside of the ILIT. They can each give up to the exclusion amount to each child each year ($15,000 from each parent to three children equals as much as $90,000 per year  an amount that can increase over time as the exclusion amount is indexed for inflation). When Steve and Susan transfer the premium amount to the trustee, their children each receive a special right known as a "Crummey" power. Under this power, the children have a right to spend the money after their parents transfer it to the trust for a period of time, typically 30 days. With appropriate parental guidance, the children will not spend the money, allowing the trust to pay the insurance premiums. ILIT Insurance Policies. 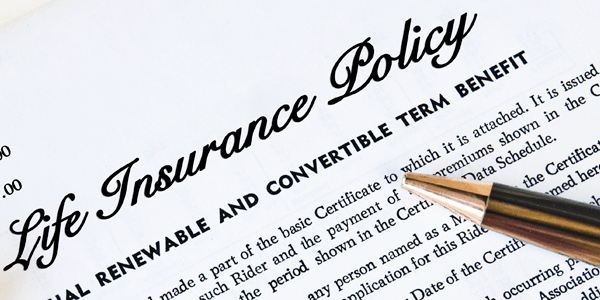 There are two ways for the insurance policy to be transferred to the ILIT. The first and preferred method is for the ILIT to actually purchase a new policy. However, if you or your spouse are not insurable, in some cases an existing policy is given to the ILIT. If you give an existing policy to the ILIT, in order for the ILIT to be estate tax free you must survive for at least three years. Child as Trustee. Many parents will select one of the children as trustee, preferably one with good financial skills. The child frequently serves for a reduced fee or no fee. The disadvantage for the child serving as trustee is that he or she may have conflicts with other siblings. Financial Institution as Trustee. The second option is for a bank or trust company to serve as trustee. If the insurance trust is quite large, the objective nature of the bank or trust institution may make this a good option. In considering a bank or financial institution as trustee, Steve and Susan should understand the costs for the investment and administration services of the bank after the insurance proceeds have been received and the trust is funded. Income. After Steve and Susan pass away, the trustee will invest the insurance proceeds and pay income to the beneficiaries. Some trusts last until the beneficiary has reached a specific age, or the trust may last for their lifetimes. With the concern about protecting a child with a substance abuse problem and the marital relationship problems of their daughter, Steve and Susan decided to continue the income stream for the lives of their children. The primary goal of many parents is to provide an additional level of economic security for the children. This income stream will provide payouts for the rest of their lifetimes. Ability to Distribute Principal. The trustee may be given permission to distribute principal. This could be based upon such standards as health, education, maintenance and support, or may be discretionary with the trustee. Steve and Susan permitted their trustee to make distributions for medical care but not for enhanced lifestyle. Steve asked, "What is likely to be the result if two of our children receive principal?" Based on the belief that principal distributions will be used for unneeded and perhaps unhealthy purposes, their trust will pay income and, if required, medical expenses. Income Taxes on New Trust Income. While the insurance proceeds are tax free to the trust as long as there has been no violation of the insurance guidelines, the new income that is earned and distributed to the children will be taxable. If the income were retained in the trust, the trust would pay the tax. However, because most income would be distributed to the children, they will pay the ordinary income or capital gains tax on their trust distributions.